As Bob Dylan once eloquently said, “It’s not a house, it’s a home.” Even though he was not referring to Greek Life, I believe the quote still holds true. As one slowly makes their way down Quaker Way, they are bound to notice several buildings with Greek letters mounted on the exterior. these letters represent a home, a family, a place to spend lonely nights, and a place to vent to your friends. If someone walks a little bit too fast, they might overlook the rich beauty of the historical street. This street is where lifelong friendships are made, where you find your home away from home, where you finally feel like you have found where you belong. This street means everything to a majority of residents on campus; it has a timelessness about it. A place where alumni return annually to welcome the new recruits. 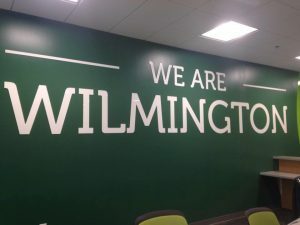 This place is known as Greek Street, and the memories of old live on at Wilmington College. Each year, a day is set aside for Greek life recruitment. This day shares its name with the venue’s location – Greek Street. Each organization sets up a booth in front of their houses (or on the lawn if they do not currently have a house). 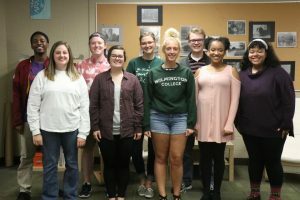 They play music, grill out, and, most importantly, they create a welcoming environment for Wilmington College students. This year, Greek Street was held on a Wednesday and I had to opportunity to attend. The atmosphere of the street was inviting, comfortable, and positive. As soon as I crossed the threshold I felt welcomed. As my eyes glanced around, I saw people laughing, mingling, and enjoying themselves in the company of other students. I wore a smile throughout the entire evening, and so did my fellow peers. As a third party who is not involved in Greek life, I could still see how important it was to those who are involved. A plethora of my friends rep Greek letters and I gladly extend my support to each and every one of them. The night had only just begun, but I felt that it was going to be a good one. As the night progressed, I became more and more intrigued when it came to finding out why people decided to join their brother or sisterhood, so I began to ask questions. My goal was to find out the personal aspect of Greek Life, and I was not stopping until I accomplished just that. 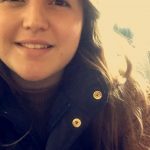 I wanted to interview people from a variety of different viewpoints: class, organization, major, and personal experience. My focal question was “What made you want to join Greek life?” The answers I received baffled me because I never saw it from that point of view before. 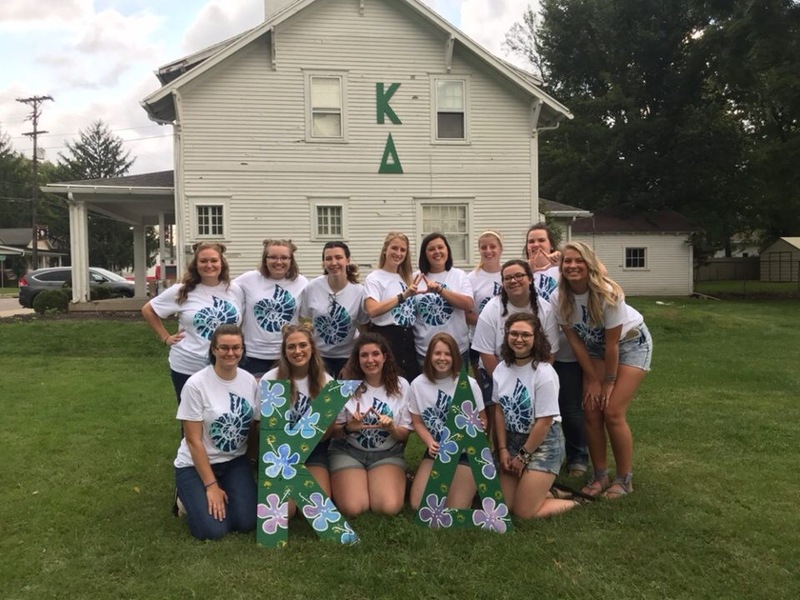 “I wanted to join Greek life to not only get more involved, but to further my leadership abilities while meeting new friends,” said Mathew Perry, a member of Sigma Zeta. “I think my favorite part of Greek Street this year would be the friendships that you felt between every organization. It was my last Greek Street and I think that this was the closest all the organizations have been,” he continued. The bond between all of the organizations is immensely important when it comes to promoting Greek life as a whole. The friendlier the better. Copeland continued to share her past Greek life experiences with me and added a few pieces of advice for freshman. 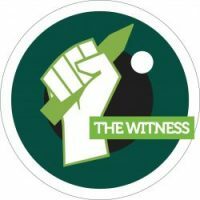 She continued, “I can’t stress enough that you should try to attend all of the rushes you can. 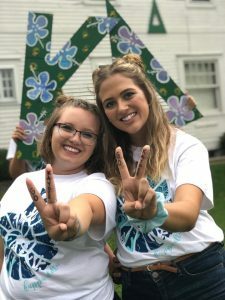 Get to know all of the organizations so you can find your home away from home!” Copeland echoed the sentiments of Mabry which goes to show how interconnected the Greek community truly is. It does not matter why you are joining a Greek organization. It could be to make new friends, gain new leadership roles, or invest your time in philanthropies. Whatever the reason may be, it is important to follow your heart and allow yourself to grow as an individual because college will be hard, but the Greek community is here to guide you through it. 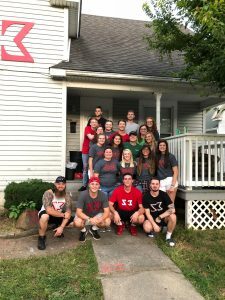 I would like to personally thank all of the Greek organizations for their participation in Greek Street this year and wish them all the best of luck in their future endeavors.